Professional heavy duty construction guaranteed. 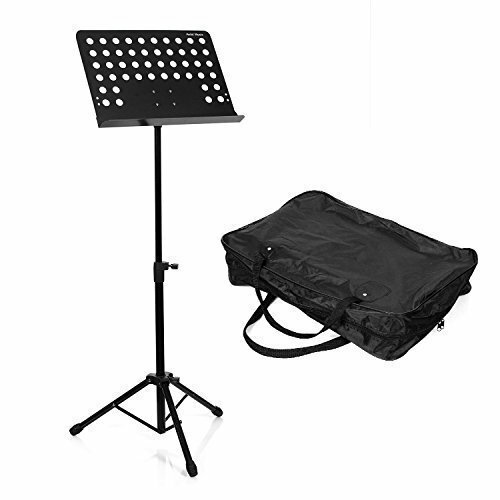 Easy to carry and folds flat for storage (Carrying bag included). Bookplate measures 13.5" by 18.75" with 2" lip and rolled edges for safety and strength. Height adjustment from 25" to 43" (lip to floor) for using while sitting or standing. Max. overall height is 55"
Knobs, screw head, leg housing and leg end cups are all made of reinforced nylon material.